Santa Fe--Monroe Gallery of Photography, 112 Don Gaspar, is pleased to present a major exhibition of photographs from one of America’s most accomplished photographers, Art Shay. The exhibit of 50 photographs opens Friday, October 6 with a public reception from 5 – 7 PM, and continues through November 19. 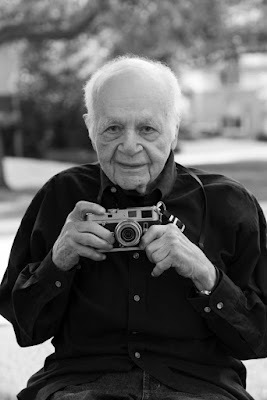 For over 70 years, Art Shay has documented life, combining his gifts of storytelling, humor and empathy. The Lucie Awards is the premiere annual event honoring the greatest achievements in photography. Art Shay will be honored with the Lucie statue for Lifetime Achievement during the Lucie Awards gala ceremony at Carnegie Hall in New York October 29, 2017. Below is the announcement from the Lucie Foundation.